Do you have some broken crayons lying around somewhere at your home? 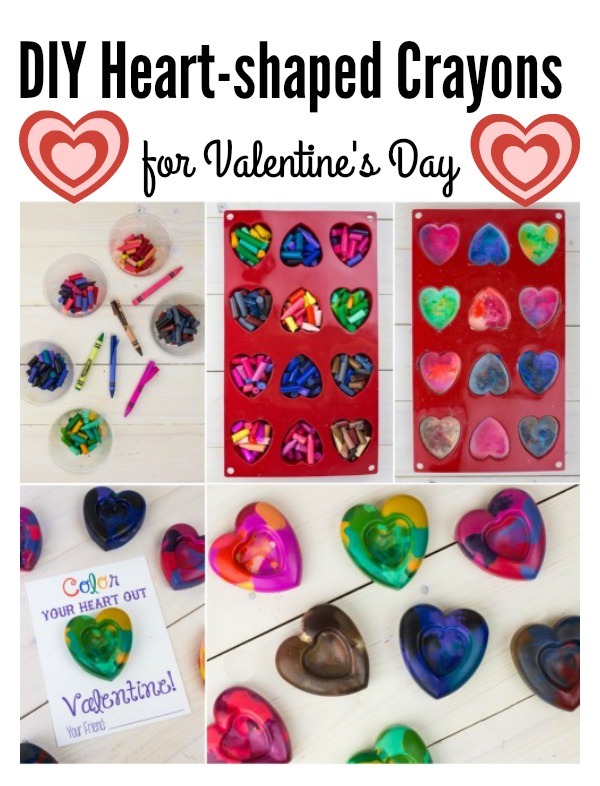 If so, here is a great idea to recycle them to Make Heart-shaped Crayons for Valentine’s Day. It is a fun craft project that everyone in the family can do. It’s perfect for the month of February, as they are a great non-candy Valentine gift for little friends. It’s a super easy project too. All you need to do is to melt crayons in the microwave (in a bowl) and pour the liquid wax into molds(buy from amazon). You can encourage kids to come up with different combinations, for example, blue-and-white blend for drawing the sky etc. Have fun.